Get one-on-one help in 40 subjects including math, science, essay writing, foreign language, social studies, test prep, and more with live qualified tutors. Improve your research papers, resumes, and test scores. You can even submit your essays for overnight feedback. Open for business from 3 p.m. until 10 p.m., 7 days a week for Scotch Plains and Fanwood Library cardholders. Get help on the go with mobile apps for Tutor.com! 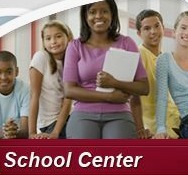 Select ‘School Center’ for help with math, reading, social studies and other academic skills. Prepare for tests such as AP, SAT, ACT, & GRE, too! Explora allows you to search multiple databases at once for articles, facts and images. Do you need to pick a topic? Browse among multiple categories for ideas! Search multiple high-school level databases at once for articles, facts and images – or browse among multiple categories to help you choose a topic for research! 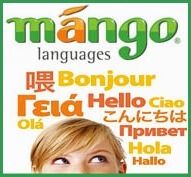 Study vocabulary, grammar and pronunciation for over 70 languages! Download a mobile app to practice anywhere! An interactive language resource for over 30 languages. Provided by the NJ State Library. It is important to use high quality websites when conducting research. Use one of the tools below to ensure credibility and quality. The ‘Purdue Owl’ is a great, free, online resource for properly formatting and referencing your research papers. Do you like to study with a soundtrack or background music? Freegal offers music specially chosen for concentration and focus! Login with your Scotch Plains library card number and stream up to three hours per day for free!